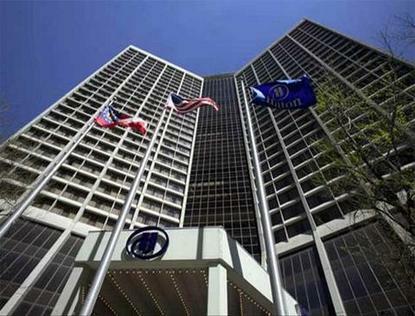 The Hilton Atlanta hotel offers the ideal setting for business or pleasure in downtown Atlanta, Georgia with convenient access to all that is important in Atlanta. We are 15 minutes from Hartsfield-Jackson International Airport the closest convention hotel to the I-75/I-85 Connector and within walking distance to the Georgia World Congress Center, Georgia Aquarium, CNN Center, Centennial Olympic Park, World of Coke, MARTA, The Mall at Peachtree Center, Philips Arena, 27 restaurants, and more. Many more restaurants, shopping, museums, Georgia Dome and Turner Field, home of the Atlanta Braves, are a short taxi ride away. The Hilton Atlanta hotel offers 1,226 large, comfortable guest rooms and suites designed for comfort and productivity they feature warm, rich tones and classic style. 48 individual function rooms total 115,000 square feet of flexible function space. Our function space is in such close proximity that the flow between a group's meetings, catered events, and breakouts is described as ''SMART-FLO''. Our Culinary Team is an experienced group of the finest, most qualified culinary artists in Atlanta. The creativity and excellence in our hotel's culinary delivery extends to our catered events. The Hilton Atlanta hotel also offers a variety of restaurants and outlets that provide customers plenty of dining options including two award winning restaurants - Nikolai's Roof and Trader Vic's. Guests can take advantage of a complete recreational menu including fitness center with saunas outdoor swimming pool padded, secure, outdoor running track and tennis and basketball courts. Travel should take you places.